This PC0002 rectangular baking stone is ideal for heating and re-heating homemade or frozen pizzas, or other baked goods. 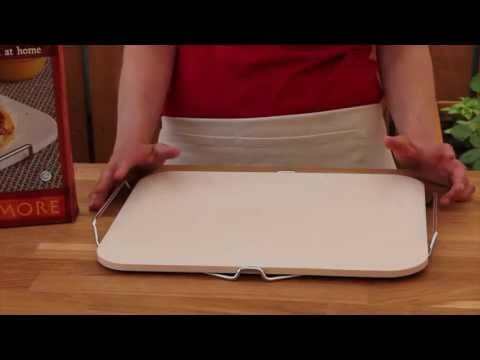 The handles on the wire frame allow you to safely transport the hot pizza stone from the oven to the table. This ceramic pizza stone requires no seasoning or conditioning.